With stunning mosques and Ottoman architecture mingling with futuristic skyscrapers and flashy shopping centres, Turkey's largest city Istanbul offers an eclectic mix of traditional and modern, and this is also true of its hotels. 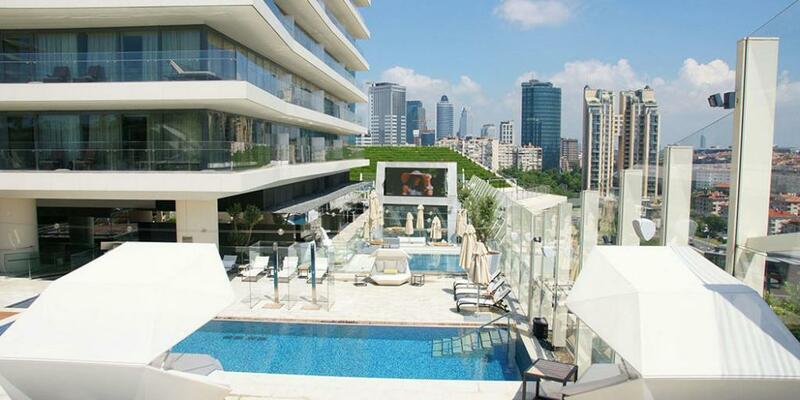 With such a broad variety of hotel options, it can be daunting to decide which one is most suited to you, so we've put together a list of the best hotels in Istanbul to help you seamlessly plan your perfect trip. In terms of location, we've focused in on three of the most popular areas: Sultanahmet in the old city, which is close to the Blue Mosque, Hagia Sophia, and Grand Bazaar; Taksim, which is a lively hub for nightlife, restaurants, and shops; and Beyoğlu (or Pera), home to the buzzing Istiklal Avenue. Ranging from luxury to budget and from modern to traditional, these are the best accommodation in Istanbul. 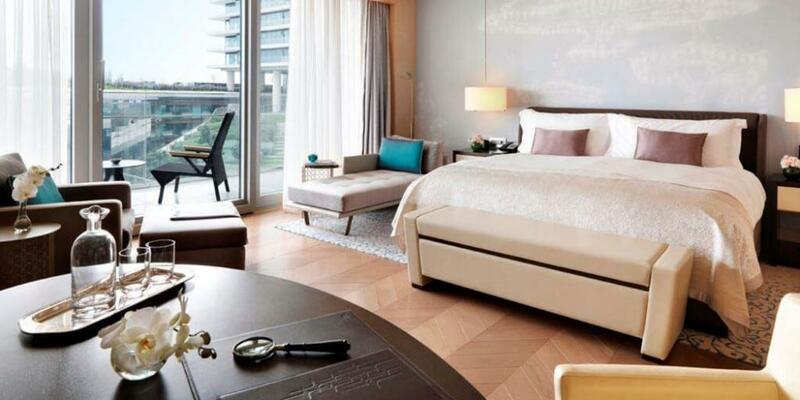 For a luxurious stay in Istanbul, look no further than Raffles Istanbul. 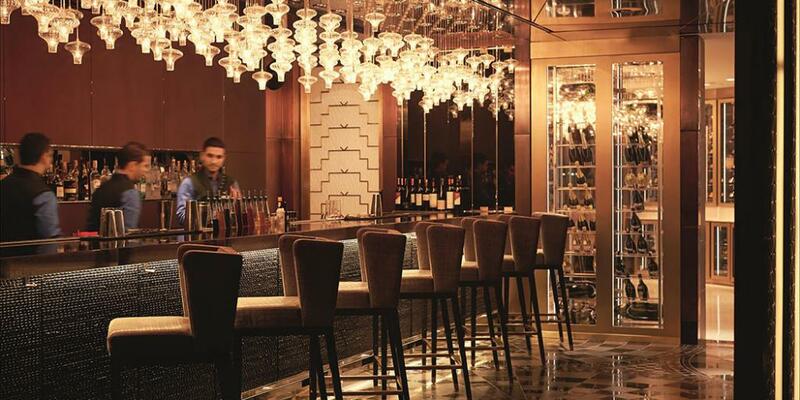 Situated in the lavish Zorlu Centre - a complex of designer shops, gourmet restaurants, and an eight-screen cinema - and offering amazing facilities, meticulous service, and beautiful rooms, Raffles is the pinnacle of modern luxury. The wide selection of elegant and spacious rooms, suites, and studios are sleek and stylish, with plush furniture, marble bathrooms, walk-in wardrobes, and a tablet to control the air conditioning and order room service. 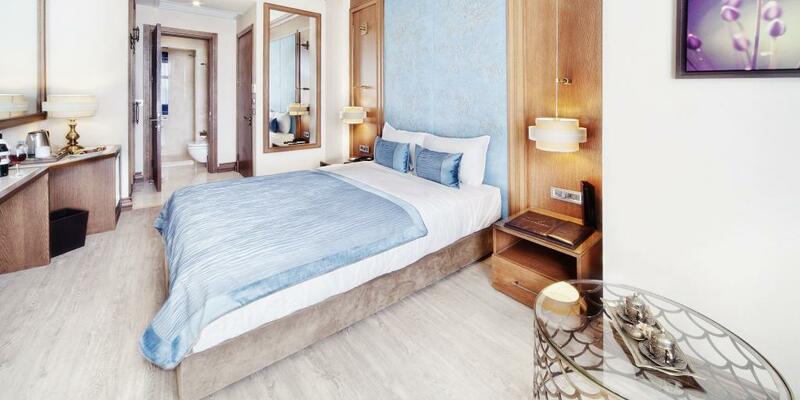 Each room also has full-height windows and a furnished balcony either overlooking the city or the Bosphorus, giving you the perfect spot to admire the views outside, which are just as beautiful as the luxurious interiors. To add even more luxury, the hotel also has a chic bar, two restaurants, an afternoon tea lounge, a patisserie, a spa and wellness centre, and an outdoor terrace pool, so there's no end of things to indulge in here. 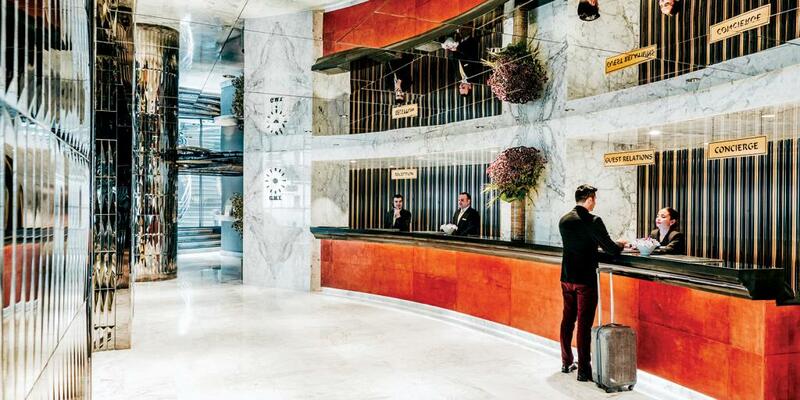 Although a little further away from the main sights than some other hotels on our list, Raffles is located on metro line M2 (the closest station is Gayrettepe) which connects to trendy Taksim and the old city. Plus, it's in the prime location for some treat-yourself holiday shopping, which is always a good idea, if you ask us. Boasting cheap rooms, incredible views, and a great location, the Antis Hotel is the ideal option if you're on a budget but still want to make the most of what Istanbul has to offer. Located in the Sultanahmet area just a short walk from both the Hagia Sophia and Blue Mosque, this hotel is in a prime sightseeing spot in one of the most picturesque neighbourhoods in the city. The rooms are simple and comfortable, with elegantly decor and modern bathrooms, and many of them provide stunning sea views. Granted, the sea view does come at a (marginally) more expensive rate; but even if you opt for the cheaper rooms you can still enjoy the roof terrace cafe, which looks out over the Marmara sea on one side and the Blue Mosque on the other. Just a two-minute walk away from the Blue Mosque and the Grand Bazaar, Arena Hotel is an Ottoman-style boutique hotel which embraces its traditional surroundings but also provides modern facilities. The rich fabrics and warm colours of the rooms make you feel like you're staying at an authentic Turkish home rather than a hotel, particularly because you get complimentary coffee and cookies when you arrive. Another great feature of this hotel is that they offer hands-on classes to people staying there. You can take Turkish cooking lessons in the hotel kitchen (and then enjoy the food, of course), or paper marbling workshops to create some unique designs to take home as a souvenir. If you're after a smaller hotel that's not part of a major chain, Arena Hotel is a fantastic option. 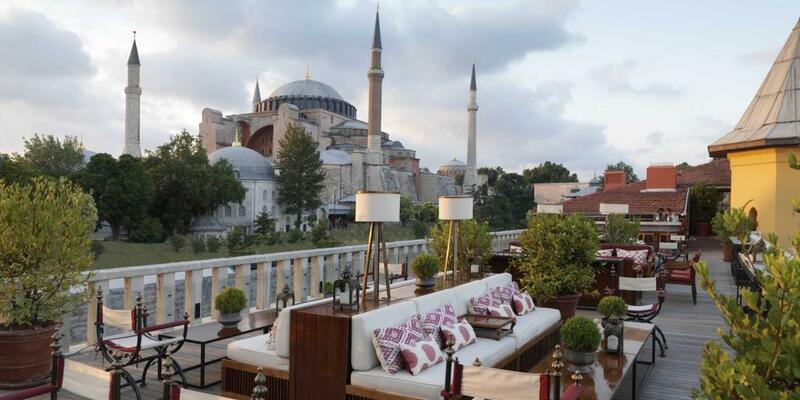 If a traditional sanctuary in the middle of one of the most picturesque and historic areas of the city sounds right up your street, then it's worth treating yourself to a room at the Four Seasons at Sultanahmet. Housed in a beautiful old Turkish prison, the building has an stately neoclassical design made up of domes, towers and arches, many of which are original features dating back to 1919. The design of the rooms is in keeping with the history of the building, with rich patterned rugs, ornate wooden furniture, plush armchairs, and tiled bathrooms all making a stay here feel particularly luxurious. There is also a lovely courtyard full of plants, a rooftop terrace with a bar overlooking the old city, a restaurant located in a traditionally-decorated glass pavilion, and a top-notch spa providing bespoke treatments. 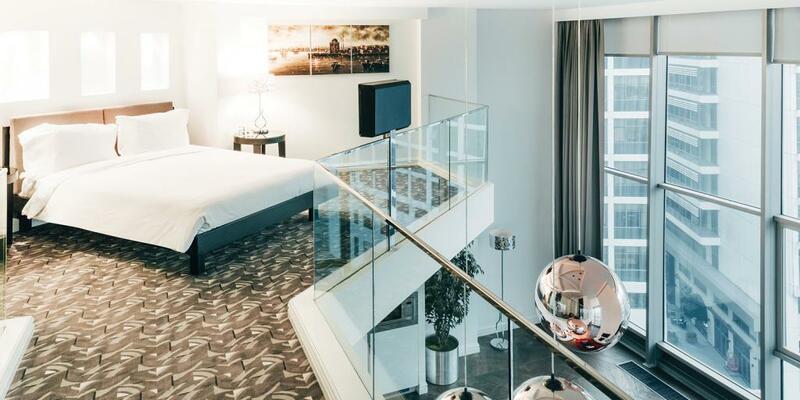 The 5-star Elysium Istanbul is housed in a futuristic tower located in the heart of the trendy Taksim neighbourhood, and it's a stylish, modern base for an Istanbul city break. The rooms are decorated in a contemporary, uncluttered style, and have full-height windows with stunning views of the city below. The majority of the rooms are spacious loft-style suites with an additional mezzanine floor, so you won't feel strapped for space, and there are loads of amazing facilities including a pool, a spa, and a fitness centre for guests to enjoy. The hotel is just a stone's throw from Taksim Square and surrounded by bars, restaurants, and shops, as well as being in easy reach of a number of historical monuments and museums. It's also super easy to travel around from here as the hotel is close to a number of bus stops and Taksim metro station which connects up with the old city. With a variety of room types designed to accommodated multiple guests, GK Regency Suites is a great option for families looking to travel to Istanbul. Families can go for suites with two connecting rooms (sleeping up to six people) or three connecting rooms (sleeping up to seven people), as well as double and triple rooms which include the option to add an additional bed - perfect for couples travelling with one or two children. 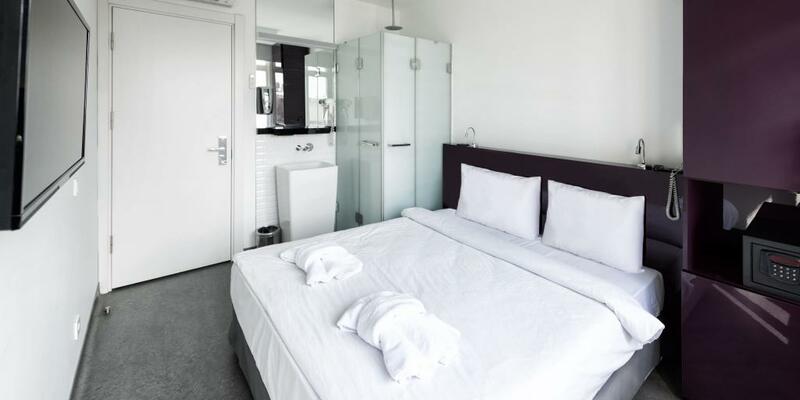 The rooms are compact yet modern and comfortable, and the hotel is kitted out with everything you need at the end of a long day of sightseeing, including a restaurant, WiFi, a terrace, and a laundry service. GK Regency Suites is well-connected by bus to Taksim (by public bus or the free hotel shuttle service to the Square), and the Sultanahmet area, so the major historical spots are within easy reach. Note: the hotel is located at the top of a pretty steep hill, so if you're travelling with very young children or those with mobility issues it may be slightly harder to access. Four-star Grand Hotel de Pera is the perfect blend of luxury and affordability, which means you can settle into holiday mode without breaking the bank. The contemporary rooms here are super stylish, and the flat screen TVs, in-room WiFi, and free room service all make this spot feel like you're definitely getting more bang for your buck. 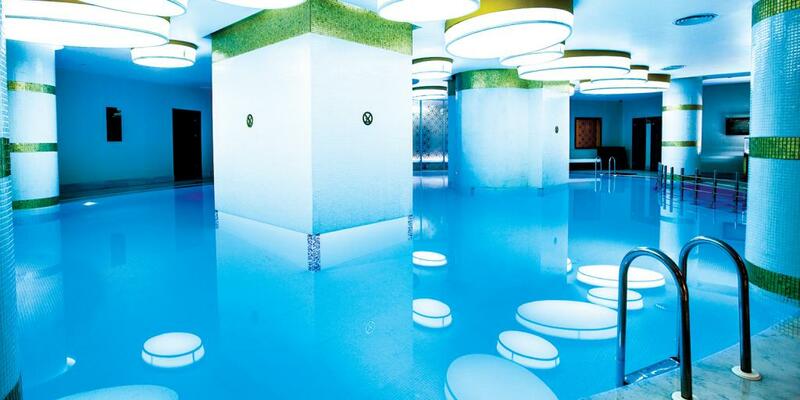 There is also a swimming pool with a beautiful sky-effect ceiling and a hammam (traditional Turkish bath) and sauna for guests to relax in. 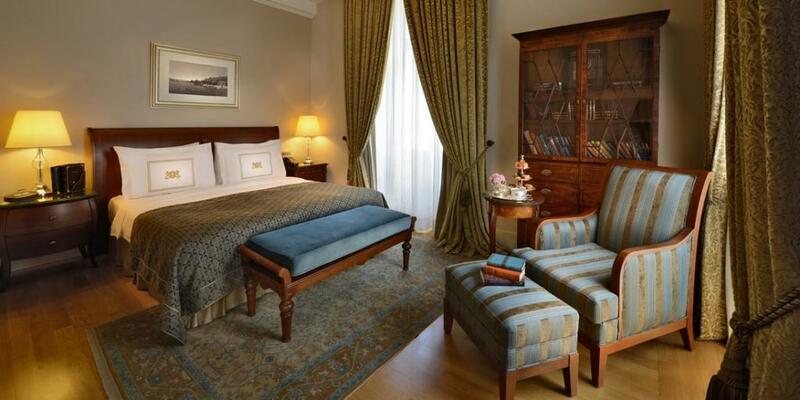 Some of the rooms also have amazing balconies with stunning views of the Golden Horn. Grand Hotel de Pera's prime location also adds value for money. Situated in the Pera district (or Beyoğlu, as it's technically called nowadays), it's within easy walking distance of Istiklal Avenue's many eateries and the nearby museums and galleries. It's also close to Taksim Square and Şişhane metro station on line M2, which connects to the old city and most of Istanbul's major sights. Admittedly, our solo travel option #Bunk Taksim is technically a hostel and not a hotel, but this isn't your ordinary slum-it-for-a-cheap-night affair. This hostel is housed in a beautiful renovated historic building with elegant marble bathrooms, fluffy towels, comfy beds and breakfast included, so it definitely doesn't feel like you're roughing it here. 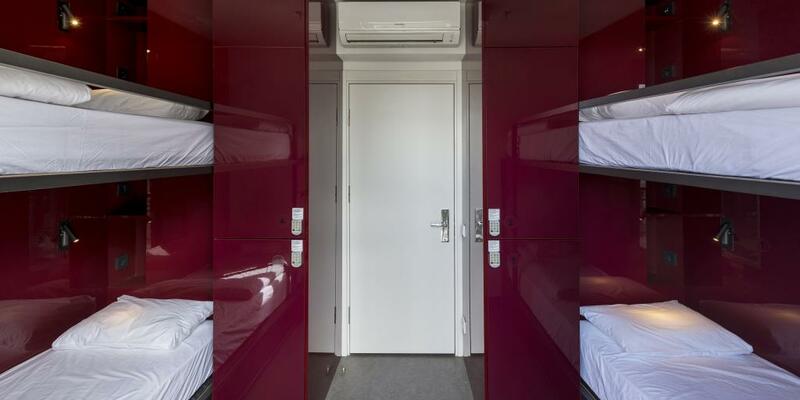 Another plus point is that travellers can opt for either shared dorm-style accommodation or a private room with its own bathroom facilities, so the classic bunk-bed experience is totally optional. If you do decide to have your own room, it's still easy to be part of the action and meet other people on the roof terrace, where there are loads of fun activities like table football and a movie projector, as well as a bar and amazing views. 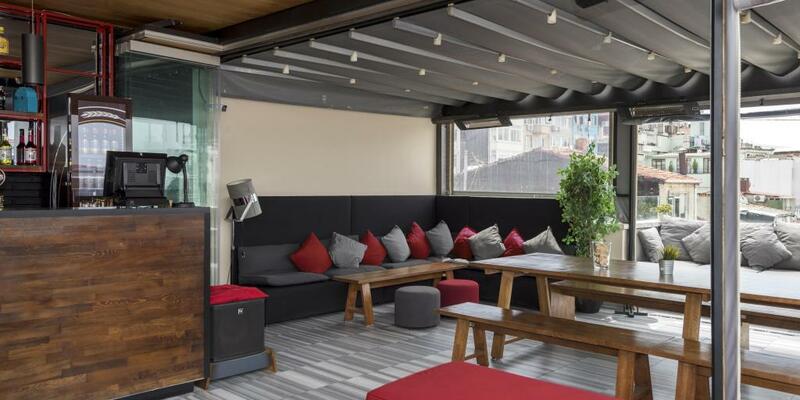 Located just a short walk from Taksim Square and conveniently located near all the main sights by public transport, #Bunk Taksim is the ideal low-key and friendly base from which to enjoy Istanbul. Although most of our hotel recommendations are perfect for couples, the Pera Palace Hotel is a particularly good choice for a romantic city break in Istanbul. It first opened in 1895 and is regarded as one of the city's most important historical buildings, with a beautiful blend of neoclassical, Art Nouveau, and Oriental designs making it a very special place to spend a few days with your loved one. 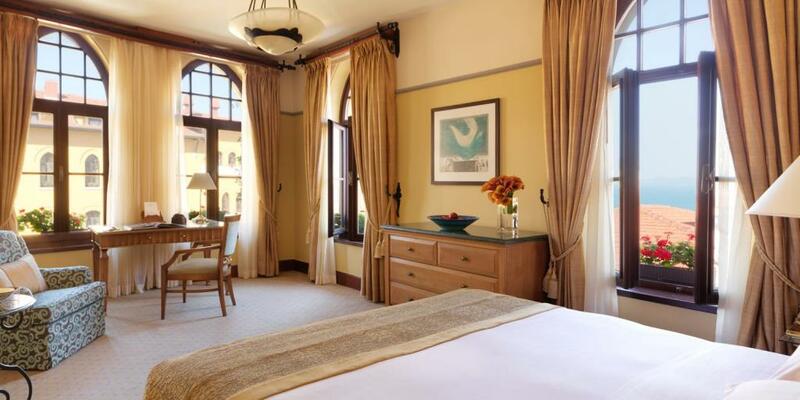 The rooms are traditionally decorated, each with their own unique charm; you can opt for a classic deluxe or studio room, or stay in the Greta Garbo Corner Room, the Agatha Christie Room, the Ernest Hemingway Suite, or the Pierre Loti Suite, following in the footsteps of some of the hotel's most famous former guests. 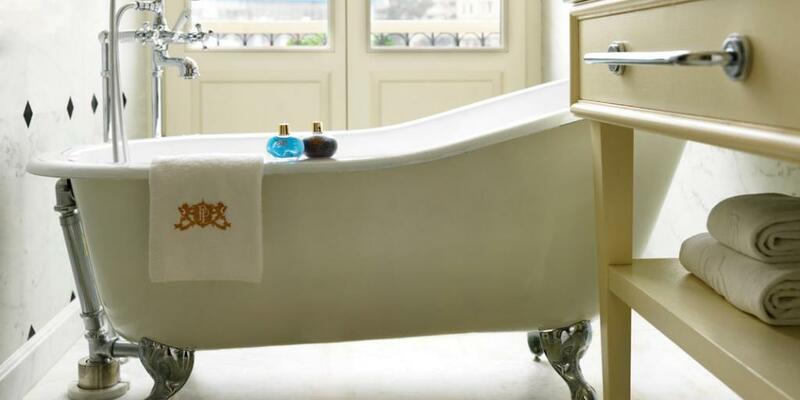 Whichever you go for they're all decorated with opulent fabrics and antique furniture, and many of them have beautiful freestanding bathtubs - ideal for a relaxing soak. Most of the rooms in the Pera Palace Hotel also boast a balcony with views of either Pera or the Golden Horn - the perfect spot for a coffee in the morning, or a romantic glass of wine in the evening as you cosy up to watch the spectacular sunset. 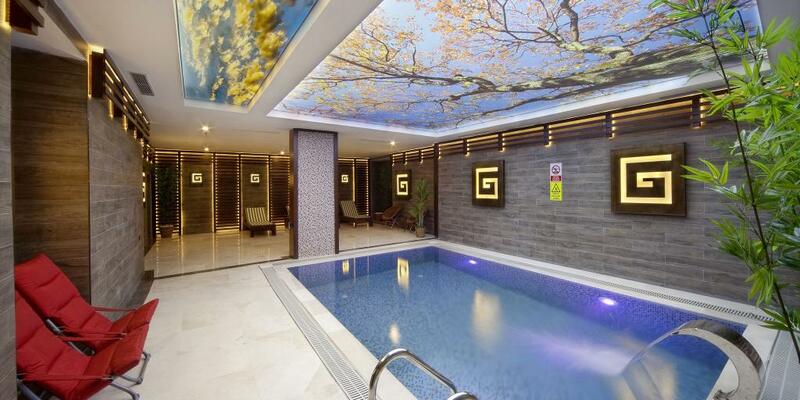 The hotel also has an idyllic spa where you can zen out together in the hot tub. Pera Palace is conveniently located close to Taksim and lively Istiklal Avenue where you'll find loads of great restaurants, shops, and museums to make your stay even more memorable.